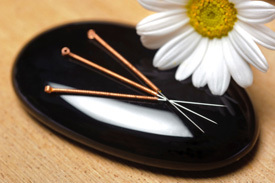 Though not considered to be acupuncture, which is based on Traditional Chinese Medicine, dry needling uses acupuncture needles to help decrease pain in various parts of the body. This therapy may be helpful in relieving the discomfort of patients who may not respond well to other types of techniques. You should not experience any discomfort when the needle is inserted, but you may get an achy feeling during the release of the trigger point. Following your session, you may experience increased movement and range of motion as well as a decrease in pain. From athletes to seniors experiencing extremity pain, patients of all ages may benefit from Dry Needling. Contact us today to schedule an appointment!